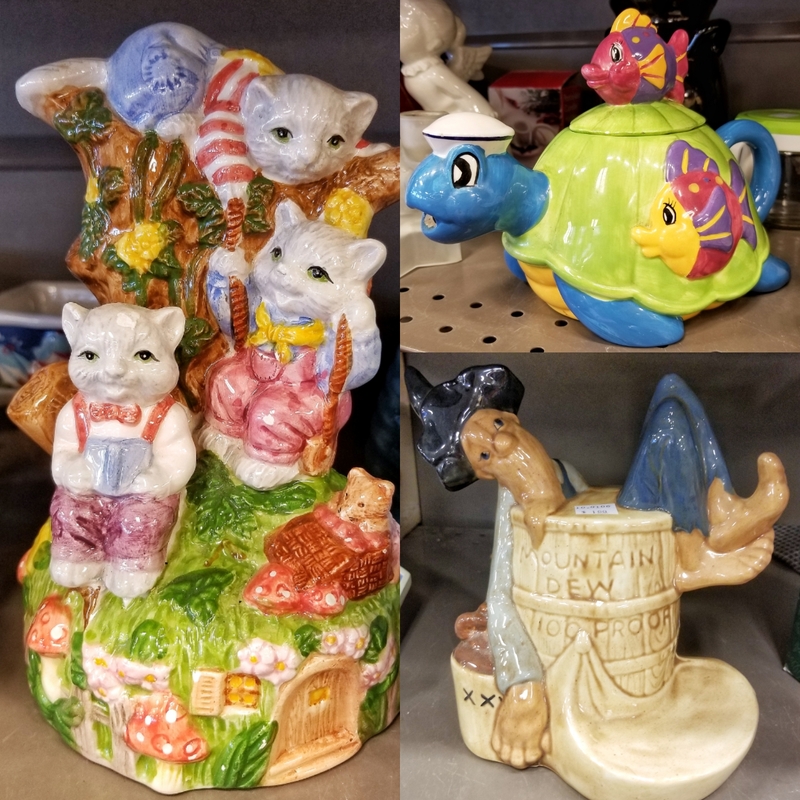 As I’ve mentioned before, I’m a big fan of shopping at my local Goodwill because I occasionally happen upon COOL THINGs. But luck was on my side this because I found COOL THINGs two Goodwill trips in a row. (I often go three or four trips before something catches my eye). So who did I come across this time? Well, there was Tommy the Turtle Teapot with his friend, Fishy. Then I spotted the Kitty Triplets who toed the line between cute and creepy. And finally, I saw Mr. Miner chilling in his barrel of what looked like alcoholic Mountain Dew. I’m curious. Have you found any COOL THINGs while out and about?